1. A cookbook filled with tons of recipes for delicious cookies, cupcakes, and more mouthwatering desserts for fueling every sugar-lover's obsession. Get it from Amazon for $10.90+. 2. 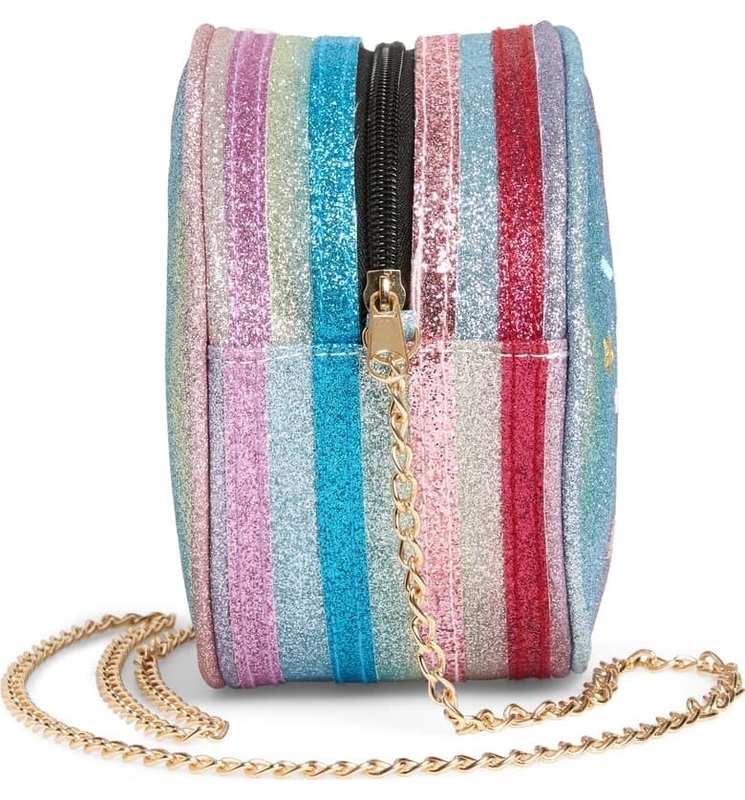 A cake crossbody bag that'll provide the perfect place to sprinkle in some of your belongings. 3. A box filled with 10 assorted British chocolate bars to take their taste buds on a trip across the pond, without ever needing to pay for a plane ticket. 4. 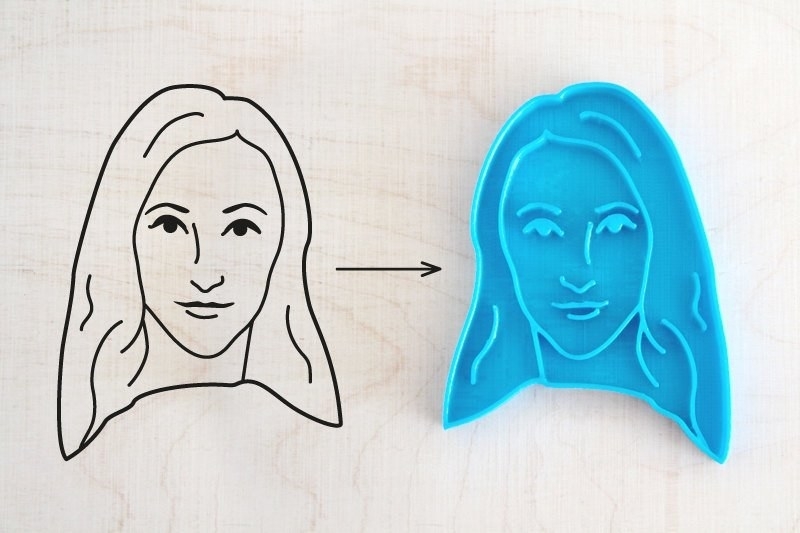 A photo portrait cookie cutter that'll get some laughs from the gift recipient, but in the best way possible. When you place your order, just submit a photo to the Etsy seller and voila — they'll work their magic! Please note before ordering that delivery takes 14–21 business days for customers in the US/Canada, up to five business days for customers in the UK, 3-14 business days for customers in Europe, and 14–21 business days for customers in Australia and Asia. The color of the cookie cutter will depend on what filament is loaded at the moment. It's not dishwasher-safe! Please hand-wash — you can use a dish brush if you'd like. It's made from PLA — a biodegradable plastic, and made via 3D printing. Get it from Cookillu on Etsy for $23.47 (originally $29.34). Get it from Amazon for $337.97 (originally $569, available in 27 colors). 6. A soft serve ice cream maker for transforming your favorite fruits, yogurt, or even chocolate (if you're feeling wild) for a nutritious ice cream/frozen yogurt/sorbet treat. All you need to do is add fruit, and anything else you might desire like yogurt or chocolate! Just push the fruit down into the chute and push down using the plunger. The chute, plunger, and blade are all dishwasher-safe! To learn more about this amazing machine, check out this BuzzFeeder's review. Get it from Amazon for $39.96 (originally $49.95). 7. A gummy bear light for brightening up a dark room in a way so cute, you can't help but smile, and maybe even feel a bit hungry. All you have to do is give his belly a squeeze! Comes with a built-in LED light. Requires two AA batteries to operate, which are not included. Or, a 6 volt DC adapter. Get it from UncommonGoods for $27.99 (available in five colors). 8. A pick-four candies gift to — you guessed it — pick four delish candies from a broad selection in order to make sure you're giving the perfect variety of yumminess to your loved one. Candies to choose from: licorice pastels, gummi sour piglets, chocolate-covered gummy bears, Aussie red licorice, gummi celestial stars, gummy grapefruit, gummy fruit salad, dinosaur gummies, fruit bowl jelly beans, gummy bears, gummy rainbow berries, black licorice sticks, Aussie black licorice, and strawberry licorice sticks. Get them from Harry & David for $31.99. 9. A cake pop maker that'll have the smarties who know cake on a stick is superior to any other treat transforming their kitchen into a cake pop shop. Includes three interchangeable non-stick baking plates and can either make 12 cake pops, OR seven cupcakes, OR seven doughnuts. It features a latching handle, non-skid rubber feet, a convenient cord wrap, and power and ready lights. Plus, it comes with a recipe book for hints and suggestions. Get it from Amazon for $32.33. 10. A plush pillow you donut want to miss out on buying for anyone who eats, breathes, and sleeps circular fried dough. Get it from Amazon for $19.95 (available in three styles). 11. 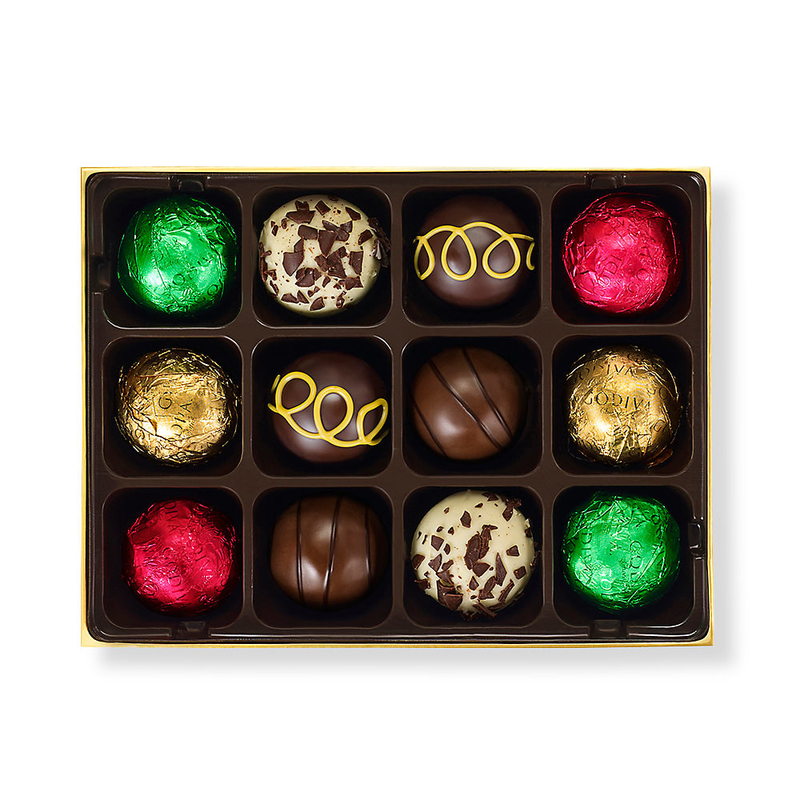 A 12-piece holiday truffle gift box to get the chocolate-lover who has some serious taste for the finer things in life. Includes two of each truffle: tiramisu truffle (espresso and mascarpone ganache in a white chocolate shell with chocolate shavings on top), cranberry truffle (tart cranberry ganache in a rich chocolate shell decorated with red sugar), roasted almond truffle (roasted almond butter with nibs of almond, enrobed in milk chocolate), milk chocolate truffle (creamy milk chocolate ganache accented with bits of solid chocolate in a milk chocolate shell), salted caramel (soft caramel blended with gourmet sea salt nestled inside a dark chocolate shell), and Christmas cookie chocolate truffle (cookie dough ganache in a milk and white chocolate shell, wrapped in green foil). 12. 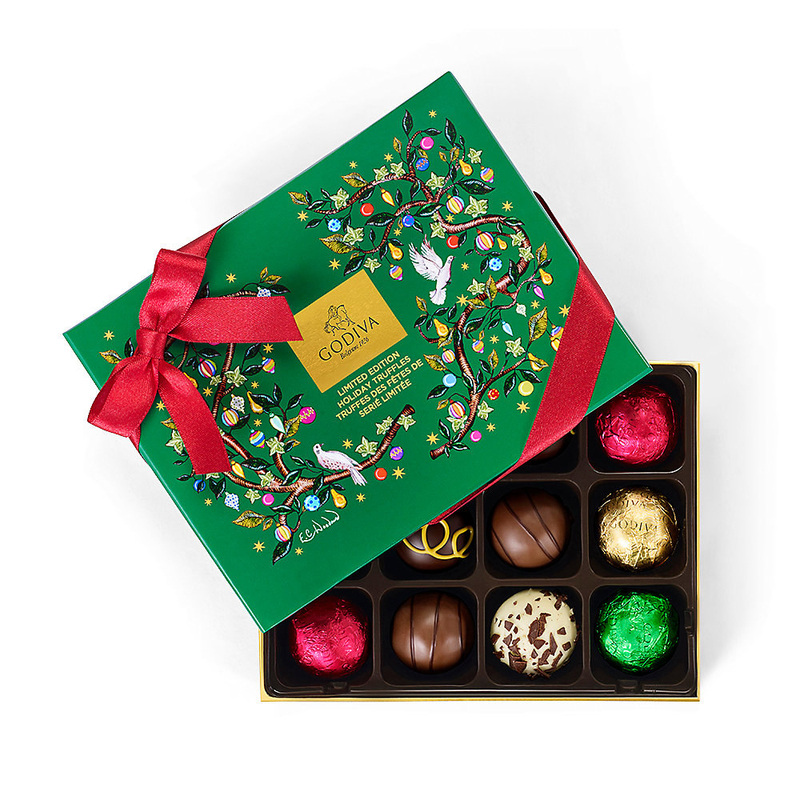 Or a 10-piece holiday-themed chocolate sampler box that'll have everyone snapping a couple pics for the 'gram first. Like, look at how gorgeous they are. Includes two dark chocolate pine trees filled with hazelnut mocha crunch, two white chocolate peppermints, one dark chocolate gingerbread man, two dark chocolate mini cubes, one milk chocolate ornament filled with peanut butter candy, one white chocolate present filled with chocolate nougat and pecans, and one white chocolate word tile. Get it from Nordstrom for $38. 13. A smells of the holiday liquified lipstick set for the beauty lover in your life, whose lips are just always on point. Includes cinnamon bear, pumpkin spice, hot buttered rum, and sugar cookies shades. 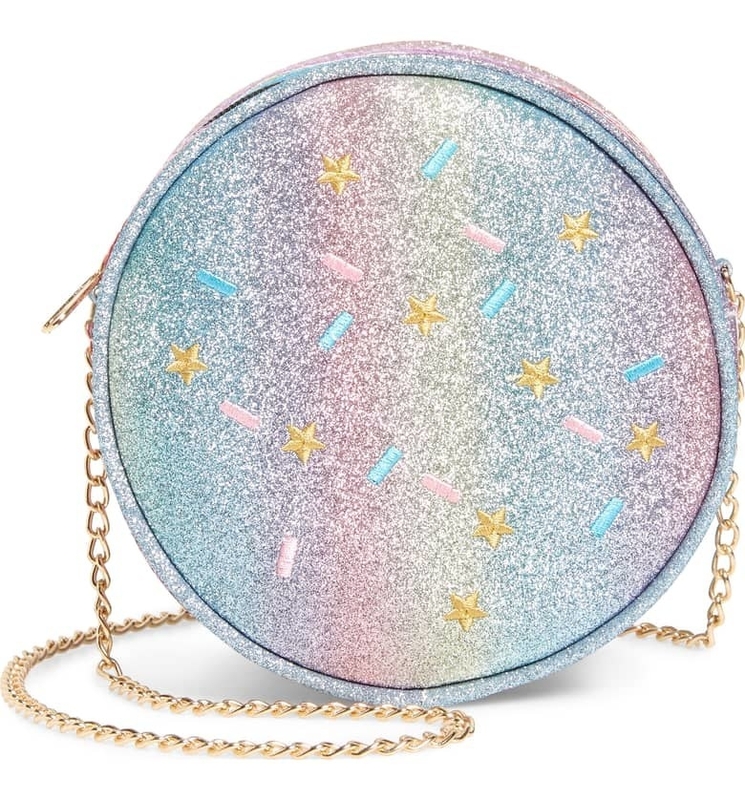 Get it from Too Faced for $25. 14. A cookie gift tin to gift to your fave little cookie. Or just anyone who has an exceptional taste in desserts. Includes eight cookies in the following flavors: triple chocolate chunk, peanut butter chunk, and s'mores. They're OU-D Kosher certified, and shipped via two-day air on the same day they are baked. Get them from Amazon for $38.95 (available in assorted and peanut butter chunk). 15. 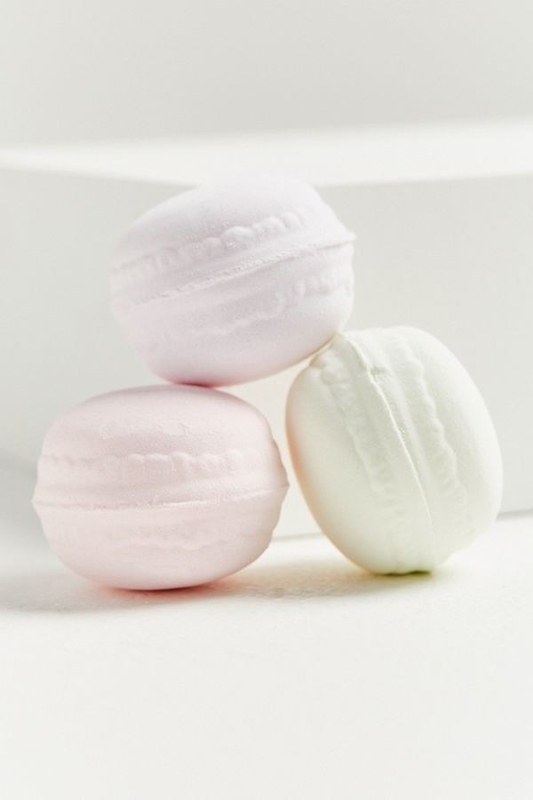 A mini cupcake bath bomb (left), or a petite macaron bath bomb set (right) that'll make bath time the only time of day they like better than dessert time. 16. A 42-piece cake decorating kit for gifting the person whose kitchen basically resembles the Cake Boss kitchen, but is always appreciative of new tools for supporting their love of baking. Includes 36 stainless steel icing tips, two reusable silicone pastry bags, two reusable plastic couplers, and two flower nails. 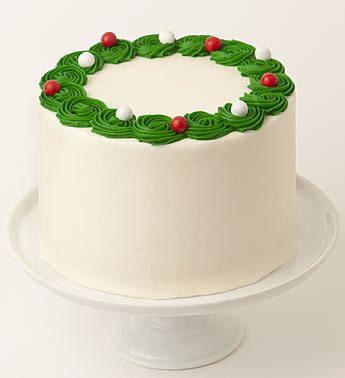 The icing tips are strong, durable, corrosion-resistant, reusable, non-stick, tasteless, non-toxic, FDA- and LFGB-approved, and dishwasher-safe. Promising review: "Seriously a great buy! The value for the amount of supplies you get is second to none, and the fact that the frosting bags are reusable is something my girlfriend really loves. 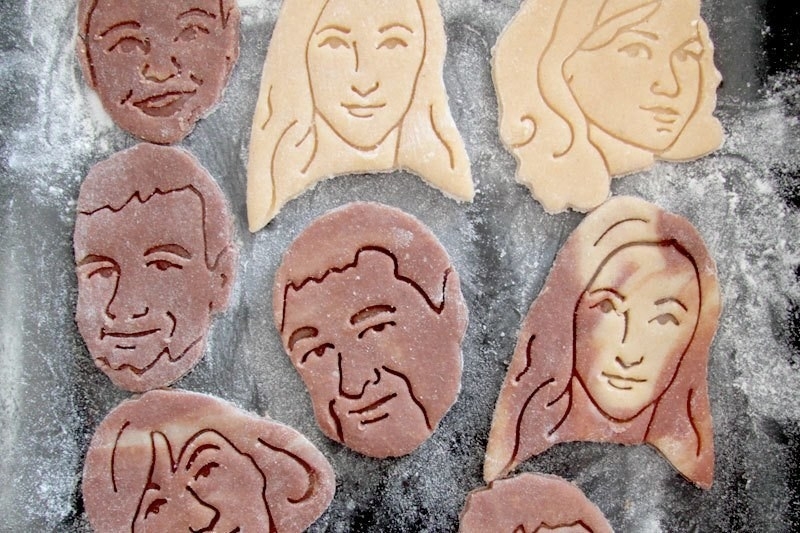 Made a perfect Christmas gift for an avid baker." —Henry M.
17. A charger you donut need to have a USB wire to get your cell phone fried up on. Get it? Because donuts are fried. Ok, sorry. Compatible with any QI-standard smartphone! 18. A chocolate and sweets gift box — it takes the guesswork out of figuring out the perfect sweet treat assortment. It's got a mix of chocolate, tangy, and sweet — you can't go wrong with this. Includes two milk chocolate marshmallow pops, 3 oz. of key lime cordials, 3 oz. of petite gummy bites, 3 oz. of dark chocolate almond bark, 5 oz. of dark chocolate sea salt popcorn, 3 oz. of grapefruit gummy bears, 3 oz. of dark chocolate covered apricot bites, 3 oz. of lemon blueberry shortbread bites, and 3 oz. of citrus blend jelly beans. 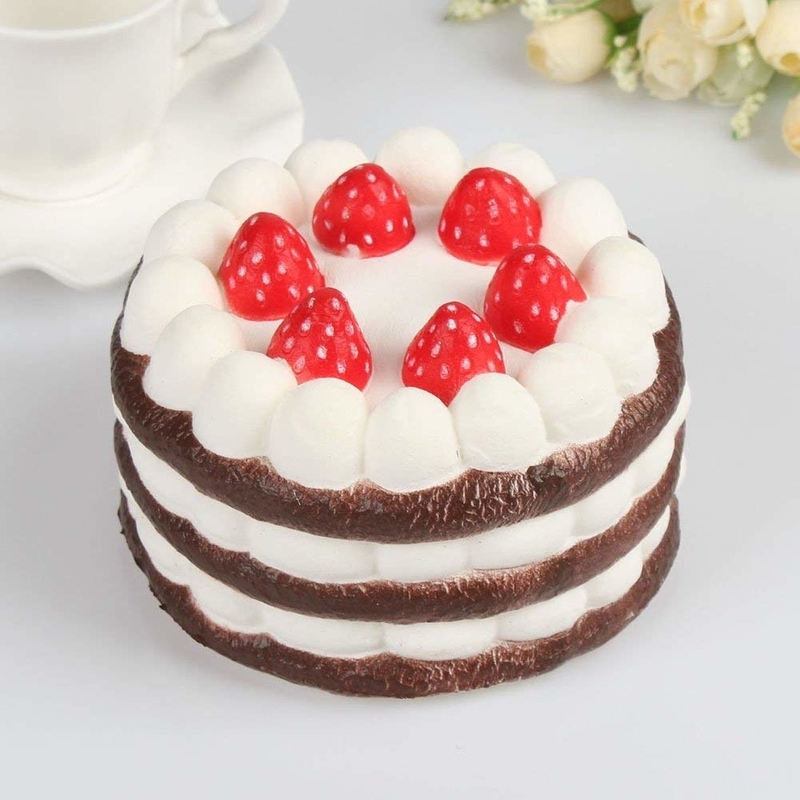 Get it from Shari's Berries for $49.99+ (available with or w/o gift crate). 19. A pair of ice cream socks for the person whose feet are inevitably gonna get cold this winter considering they refuse to trade in their ice cream carton for a more weather-appropriate treat. It's basically your job to keep their feet covered. 20. 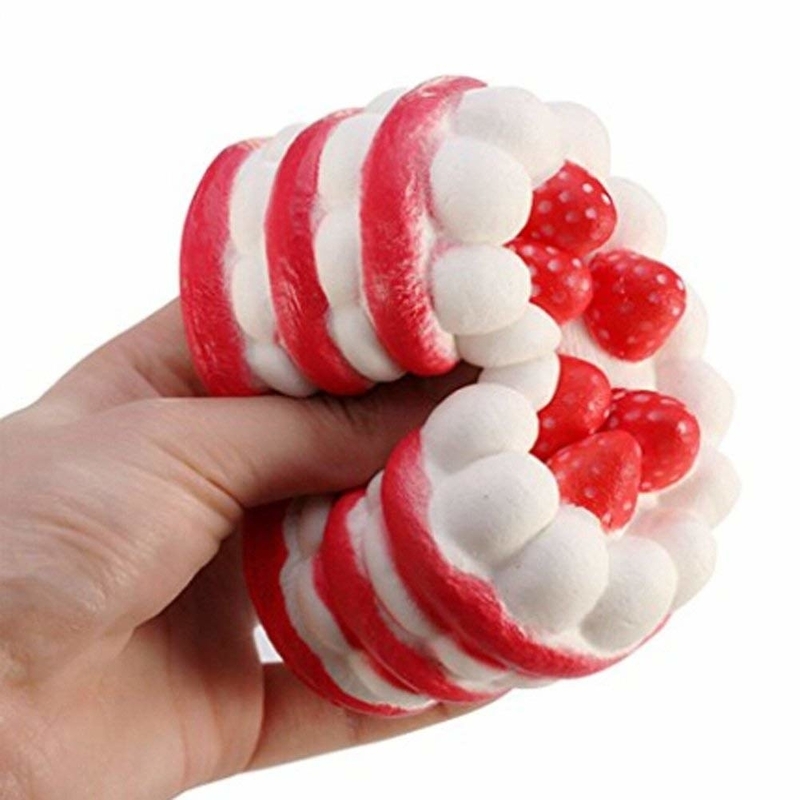 A cake stress relief toy to further prove that, yes, cake IS the solution to calming down. After all, stressed spelled backwards is desserts. Get it from Amazon for $6.90 (available in coffee, blue, and red). 21. An assorted Ghirardelli gift box that'll be greatly appreciated by any chocolate lover. In fact, it might even be appreciated by those who are ehhh about chocolate, because Ghirardelli is just THAT powerful. includes a 12-piece milk chocolate caramel squares gift bag, a 12-piece peppermint squares gold gift tin, a seven-piece green round gift box with assorted squares, a seven-piece red gift box with assorted squares, a 3.5 oz. dark chocolate sea salt caramel bar, a 3.5 oz. milk chocolate caramel bar, 3.5 oz. of peppermint bark, and a 3.5 oz. dark chocolate peppermint bark bar. Contains milk and soy, and may contain tree nuts. Get it from Ghirardelli for $54.95. 22. A tiny gingerbread village baking kit for getting into the holiday spirit, but doing so in a ~vegan~ way. Yup, this kit is vegan. And don't worry meat and dairy lovers — you won't even notice the difference. Kit contains gingerbread flour mix, natural holiday sprinkles (color and shapes may vary), royal icing mix, organic candy cane, a 3D gingerbread house cookie cutter, instructions, and a recipe card. Yields four tiny gingerbread houses. Get it from UncommonGoods for $28. 23. A non-stick brownie edges pan to make every brownie slice a perfect edge piece, because everyone who is anyone knows those are the best ones, and now you don't have to fight over them. 24. A subscription to (or even just a gift box from) Candy Club that'll deliver an amazing and unique assortment of candies once a month, or just one time, depending on what you choose. What can you expect? Either mostly sweet or mostly sour — your choice! The September mostly sweet box included candy corn puffs, jelly jack-o-lanterns, missing body parts gummies, choco-pb pretzel balls, sour cola bottles, and vanilla caramel creams, while the mostly sour box included autumn nonpareils, big apples, mango sour belts, sour berry laces, totally taffy sours, and witches' brew gummies. Get it from Candy Club: choose between the fun box (six 6 oz. candy cups) for $29.99/month+shipping (six months), $49.99/month+shipping (three months), and $99.99/month+shipping (one month), or the party box (six 13 oz. candy cups) for $49.99/month+shipping (six months), $59.99/month+shipping (three months), and $129.99/month+shipping (one month). 25. A gingerbread house relaxation box for making a bathroom feel like it's inside a gingerbread house, all thanks to the delicious smells of the holiday season ready for pampering you after a long day out in the biting cold. Comes with 5 oz. of spiced gingerbread cookie shampoo, shower gel, & bubble bath, 04. oz. of sugar sprinkles high-gloss lip shine, 4 oz. of peppermint stick shampoo, shower gel, & bubble bath, 0.4 oz. of coconut frosting high-gloss lip shine, 4 oz. of hot cocoa body lotion, 4 oz. of fresh cream body lotion, 1 oz. of snow angel hand cream, and 1 oz. of cranberry medley hand cream. Get it from Nordstrom for $42 (a $75 value). 26. A 12-pack of unicorn cake pops to provide some much-appreciated holiday magic to your loved one's taste buds. Just look at how cute and pretty and yummy they look!!! Get them from Nibblerz on Etsy for $26+ (available in six flavors). 27. A four-pack of marshmallow mugs that'll happily hold your hot chocolate, or any other warm beverage of your choice, while warming your heart with their precious smiles. Mugs are microwave- and dishwasher-safe, and each one holds up to 6 oz. Plus, each mug comes with its own hot cocoa recipe card! Get them from Amazon for $37.95 (originally $39.99). 28. An ice cream ping pong set for giving the "I scream" to your "you scream," or the "you scream" to your "I scream" — whichever you prefer, I guess. Includes two paddles, two balls, and one adjustable net. Get it from Firebox for $42.99. 29. A microwaveable chocolate fondue container to instantly have some delicious melted dark chocolate to accompany some cut-up fruit, marshmallows, cake, or anything else their heart desires to dip in chocolate. To use, set the microwave to four minutes, and set the power to 30%, and stir every 45 seconds. These are made in a facility that also processes milk, eggs, peanuts, soybean byproducts, tree and ground nuts, corn, wheat, fish, crustaceans, and shellfish. Get it from UncommonGoods for $20 (available in two flavors). 30. A macaron subscription box that'll ship one of the most decadent cookie treats to their door each month, and keep them anxiously awaiting for another month to pass, assuming they're rightfully gonna eat them all within five minutes of receiving. Get it from Cratejoy for $14.92/month. 31. 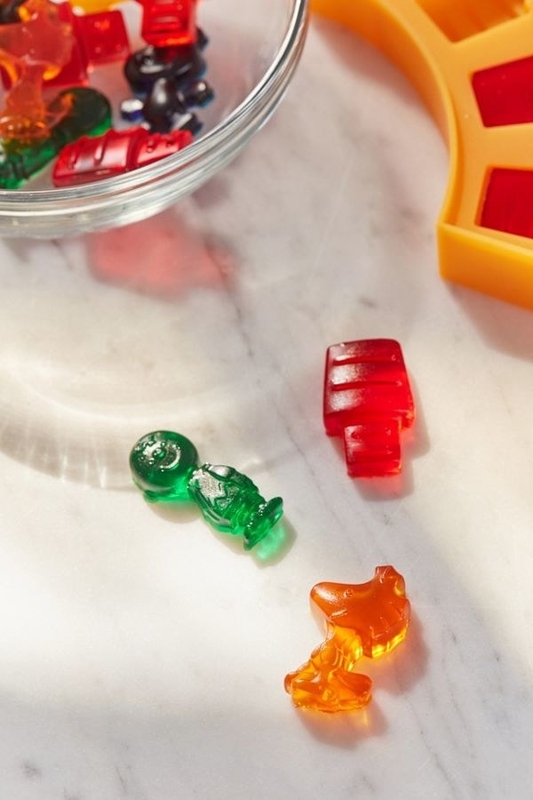 A Peanuts gummy candy maker for the DIY person in your life who also happens to have a love for cartoon-themed things, and would absolutely cherish this gadget. Includes four shaped molds — Charlie Brown, Snoopy's dog house, Woodstock, and Snoopy. 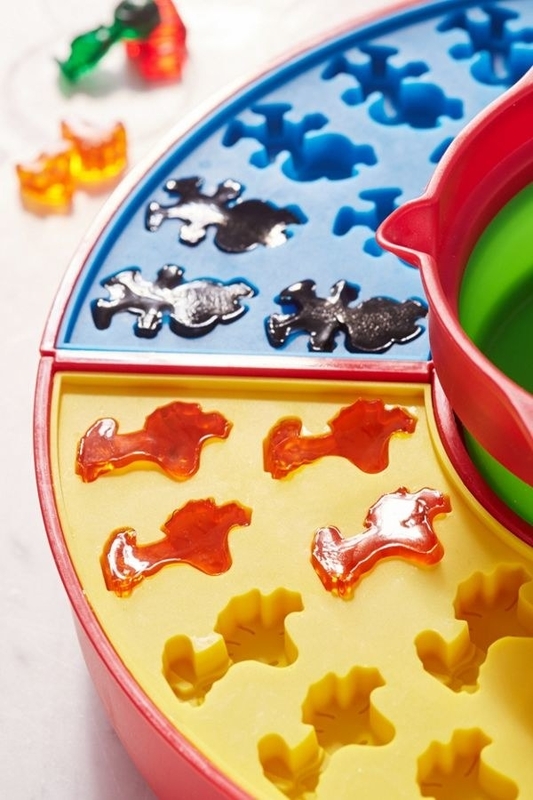 All you have to do is fill the molds with store-bought gelatin, mix and match flavors if you'd like, microwave, bend the flexible silicone molds to release, and enjoy! Recommended to hand-wash.
Get it from Urban Outfitters for $19.99 (originally $29). 32. An ice cream pint hugger to hug the inanimate object that manages to give you a ginormous hug at the end of a long and stressful day. Get it from GoodeyStudio on Etsy for $10 (also available in "B.Y.O.S. — Bring Your Own Pint" in blue, and "If you haven't hit the bottom, you're not done!" in pink). 33. A subscription to Boxney, a monthly package filled with the sweet (and some salty/savory) flavors from the Disney parks. Nothing can be sweeter than tasting the experience of walking around Magic Kingdom with a Mickey-themed snack in hand. Each month you'll get authentic snacks and goodies from Disney World like Main Street Popcorn, Goofy Candy Bags, Mickey Rice Krispy Treats, cake pops, character cookies, decorated candy apples, and more packed with colorful packing material. Sometimes, you might even find special seasonal Disney items like park buttons, brochures, maps, and more! Get it from Cratejoy for $30/month (mini Goodie Box), $60/month (original Goodie Box), or $110/month (premium Goodie Box). 34. 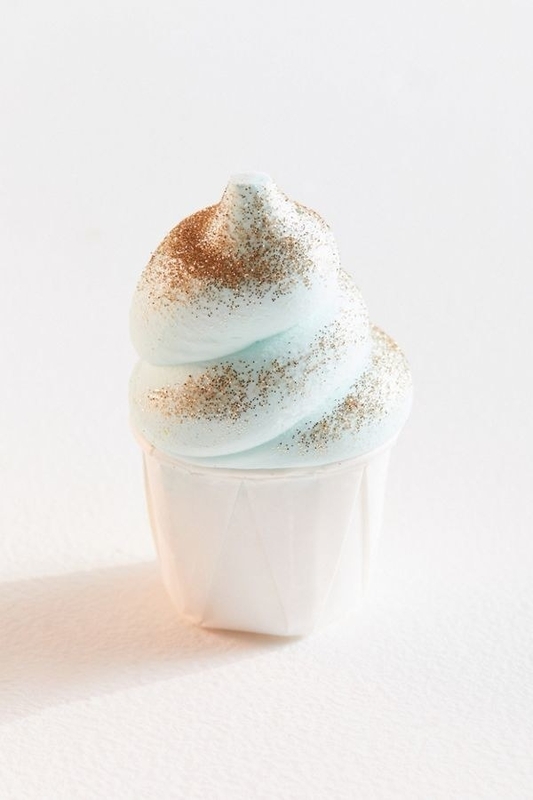 A birthday cake sugar scrub for gently exfoliating skin, and potentially making your stomach crave a slice of cake or a spoonful of frosting after. 35. A chocolate bar-themed eyeshadow palette to afford your favorite chocolate-obsessed pal the opportunity to wear their passion on their eyelids. The dream. 36. A gift box filled with an assortment of fruity, sweet candies for buying the person who loves, loves, LOVES sweets, but for some weird reason doesn't like chocolate. I mean, that's an issue for another day. Includes napoleon sours, sanded fruit salad, gummi bears, sanded gummy peaches, gummy lobsters, and gourmet jelly beans. Get it from Dean & DeLuca for $50. 37. 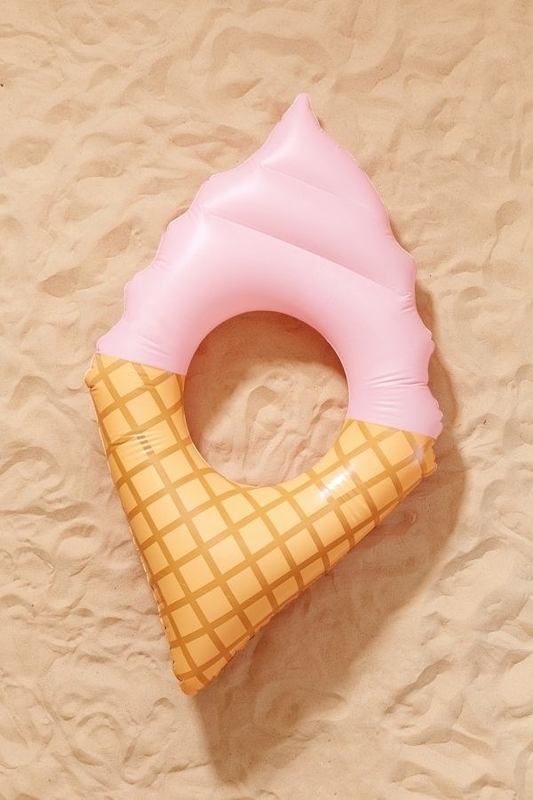 An ice cream cone pool float to get someone who spends winter daydreaming of throwing on a swimsuit and floating in the pool while soaking up some rays, with an ice cream treat in hand, of course. Unless if the gift recipient is lucky enough to be living in a state like Florida, where this can basically be used year-round. Lucky betch. Get it from Urban Outfitters for $24 (originally $28). 38. A dessert slicer to not only help serve up a sweet piece of cake or pie, but also will serve up some honesty about why in the heck you, or your loved one, is even here. Like, red velvet cake is better than any human gathering on the planet and that is just a fact. Made of cast aluminum! Recommended to hand-wash! Get it from Amazon for $16.07 (originally $17.99). 39. 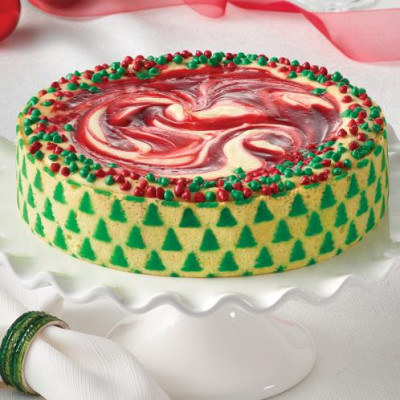 A strawberry swirl cheesecake or a four-layer frosted chocolate cake for a festive gathering. It's better than a "normal" present, IMO. 40. A six-pack of hot chocolate on a stick to gift the person who loves snuggling up with a blanket, their favorite movie, and a good cup of hot cocoa — this will give them a GREAT cup of hot cocoa in six delicious varieties. Contains one dark, one milk, one vanilla, one caramel, one mocha, and one peppermint.